“I’m a weirdo in a very specific way. 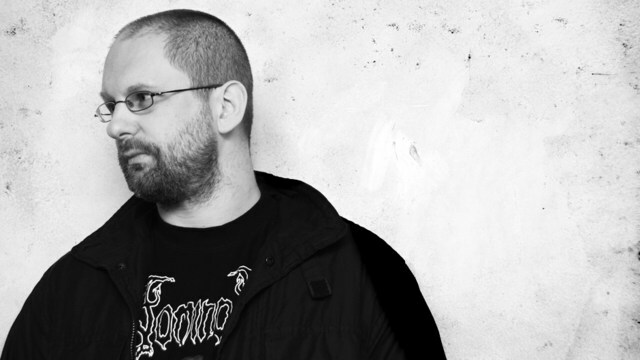 Unless you ask me questions like you would, I could be someone you’d sit next to on the bus and you wouldn’t know anything.” To call Dave Hunt, vocalist of extreme metal duo Anaal Nathrakh, ‘a weirdo’ is a disservice. Instead, underneath his down-to-earth attitude are a wealth of philosophical and emotional talking points, which he makes no bones about expressing if the right questions are asked. I sat down for two interviews with him, one before their blistering set at The Black Heart [report here] and one straight after, for an in-depth discussion of topics related both to Anaal Nathrakh and his own viewpoints on music, language and philosophy, which I have united in one article. 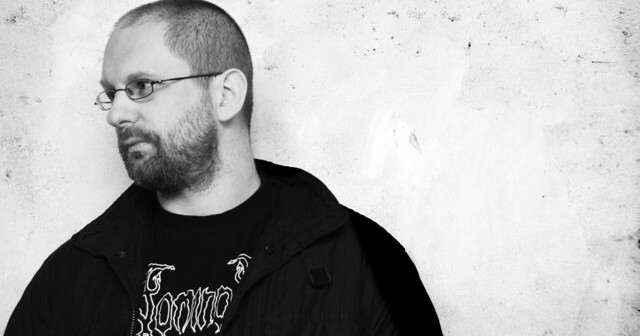 Anaal Nathrakh are also in a unique position that they didn’t start playing live for the first few years, until one fateful day at BBC Radio 1. 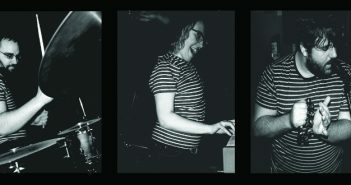 The legendary John Peel had them on for a session in 2003, and two years later the band found themselves booked on a Christmas show courtesy of Terrorizer Magazine. The band still don’t play as often as many touring acts, but still it begs the question: has the live element had any effect on the songwriting? “No, ‘cuz the thing is when you’re doing an album, you’ve got to make it the best album that you can. I mean if you’re in AC/DC, then the best album you can is the same thing as the best live thing you can do, because the way the music works, it’s quite simple and can easily be communicated live. Whereas with this, we’re intent on making an album when we’re making an album, then if we decide we want to play one of those songs live afterwards, we’ve just gotta figure it out,” he says with a short laugh. “But that’s the way round it should be, because someone receiving an album should be able to expect it’s the best album that you could make, not one that you compromised because it was too difficult to do at a gig.” He does go on to say that they’ve not failed to pull off live any of their songs thus far, although there are some they are unlikely to play live as they’re ‘too noisy’, as other half of the duo Mick Kenney told me for a different website. On a sidenote, for the Nathrakh nerds out there, I had to ask a question regarding the album title of Passion. Dave revealed that there is an original name the band were going to call it, and instead of just scrapping it, they encoded it into the liner notes. “It’s a grid of numbers and the encryption is called The Nihilist Cipher, which is why it seemed kind of appropriate. You need a keyword, and then you can work out what the message is saying. It just looks like a grid of numbers, and underneath it tells you what the keyword is.” Apparently someone/some people figured it out, but the challenge is laid down for the rest of us! 3. ‘Atavism,’ ‘Genetic Noose’ and ‘Tod Huetet Uebel’ respectively. 4. The Nihilist Cipher on Wikipedia. We wrap up the interview on a handshake, and Dave heads off with the rest of the band to grab a midnight dinner. Anaal Nathrakh as a concept still remains an enigma, but I walk away from the venue with a deeper understanding of both the band and Dave Hunt as a person, and a firm reminder of why they’re one of the most fascinating bands to have emerged in the last couple of decades. My thanks to Dave for his time and Andy for setting up the interview. 1. Bastardized French, German, Latin, Italian, Aramaic and old English. 2. ‘Paragon Pariah’, for instance, is taken from Max Stirner’s Der Einzige und sein Eigenthum. 3. Moral error theory on Wikipedia. 4. After doing some digging, my guess is it’s from Ragnar Redbeard’s Might Is Right book, or from Anton LaVey’s Satanic Bible, which contains sections of the former text. 5. Perhaps referring to ‘Sub Specie Aeterni (Of Maggots, And Humanity)‘.